Personal protection (bodyguard) in Kiev. College of Professional Security Services business offers personal protection (bodyguard) in Kiev. Organize support for individuals. 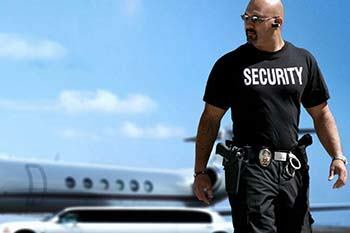 Protection of citizens (security guards) by us at any time. Service «support for individuals’ (bodyguard services, personal protection), we trust only professionals with experience in physical robots protect citizens in emergency situations, the large experience of robots in state bodies of power, owning hand combat techniques, as well as permission to bear arms. Personal protection is a priority for the protection of our company. Division of personal protection is formed of the best employees. Providing personal protection based on years of experience. During the existence of the firm, the personal protection provided security to businessmen, foreign nationals, the stars of show business as well as private individuals. Personal protection division of our company provides physical protection, as individuals, as well as leadership of the Ukrainian and foreign companies, their families and children. Various forms of robots depending on the specifics of the protected person. The services of a personal bodyguard in Kiev and Ukraine. Call or write Us we will be glad to cooperate with You. I wish to immigrate and work in the Ukraine as my girlfriend is Ukrainian. I have been in the South African military, worked in the Private Security Industry in South Africa as a Close Protection Officer and I have also worked in the South African Emergency Medical Services (EMS). I am always willing to enhance my specialist training with new and up-to-date training and as I am looking to become a Ukrainian in the future I would very much appreciate consideration by your professional company when you next have opportunities for bodyguards/close protection officers. I do not speak Russian or Ukrainian yet but I am going to learn Russian (my girlfriends language) as soon as possible. Do you have any current vacancies available? I am looking to open my own close protection officer business in Ukraine so that I do not need a work permit as a work permit is only required if I have an employer. I need personel security for one month in Harkov. Is it possible? How much cost ?